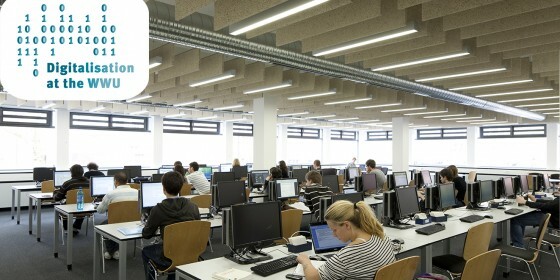 Whether it’s learning platforms such as Moodle, research portals like DigiBib or databases for research such as CRIS@WWU, digitalisation is making a lot of changes at Münster University. In the administration, the importance of the almost paperless office is growing. Nowadays, it’s nothing special for students to receive presentation and scripts via the Learnweb. The rapid progress being made by digitalisation also offers the academic world new opportunities and possibilities for networking. The University of Münster Press Office examined from January to July 2018 therefore the topic of "Digitalisation at Münster University" and the corresponding challenges in an intensive and differentiated manner. 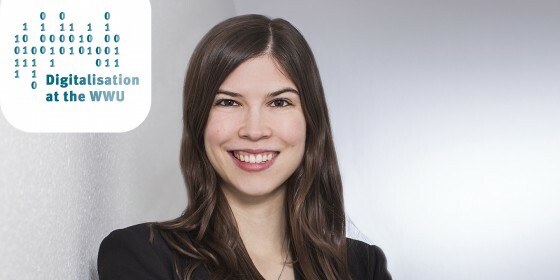 "Many people get their knowledge of the world from reports in the media"
Katherine M. Grosser’s dissertation deals with the presentation of trust, mistrust and problems of trust in the media in the context of digitalisation. In this guest commentary the communications expert discusses the results of her research. This is the prelude to a four-part series of guest commentaries on the subject of fake news. Whether it’s learning platforms such as Moodle, research portals like DigiBib or databases for research such as CRIS@WWU, digitalisation is making a lot of changes at Münster University. 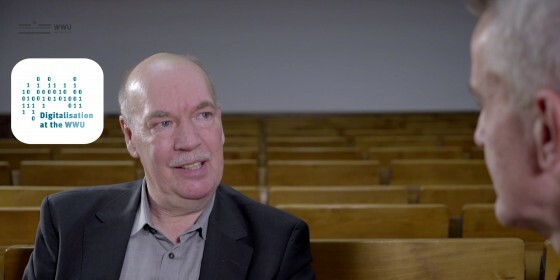 In the first video in the series “Digitalisation@WWU”, Prof. Dr. Bernd Blöbaum from the Institute of Communication Sciences talks about trust and communication in a digital world. "An opportunity for modern teaching formats"
Digitalisation is making a lot of changes at Münster University. 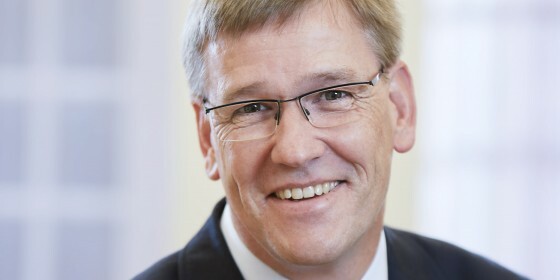 Rector Prof. Dr. Johannes Wessels describes in the current issue of the University’s newspaper, "wissen|leben", the chances and possibilities of digital transformation for the WWU. "Discussions on this subject are very emotional"
Our everyday lives and the world of work are unimaginable without digitalisation and the Internet. In the past few years, many things have changed at enormous speed because of them – including, for example, communication with smartphones. 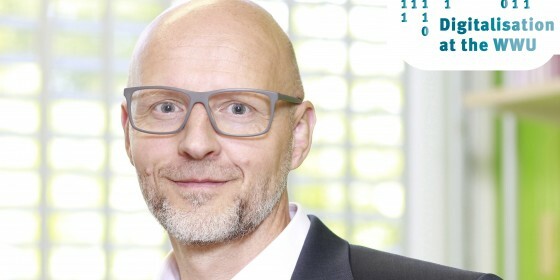 Prof. Guido Hertel, Managing Director of the Institute of Psychology at Münster University, speaks about the consequences of the digital revolution, the challenges it has produced and the fears that people have. Who would want to discard everything? What do German universities look like in the future? Prof. Dr. Michael Jäckel from the University of Trier describes the challenges of digitization for the universities in Germany.